Weapon transfer included everything from small arms to armored vehicles, CNN would report. The United States has not authorized the Kingdom of Saudi Arabia or the United Arab Emirates to re-transfer any equipment to parties inside Yemen. The US government cannot comment on any pending investigations of claims of end-use violations of defense articles and services transferred to our allies and partners. Because of this continued and unconditional support – Pentagon complaints over weapon transfers it claims were unauthorized ring particularly hollow. More so when considering in other theaters of war, US weapons also “accidentally” ended up in the hands of extremists that just so happened to be fighting against forces the US opposed. 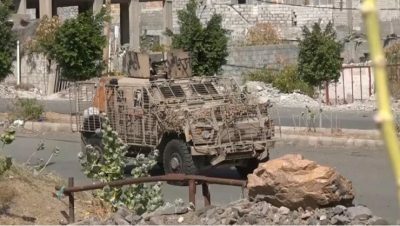 An entire army of Al Qaeda-linked forces was raised in Syria against the government in Damascus through the “accidental” transfer of US weapons from alleged moderate militants to designated terrorist organizations including Al Qaeda’s Al Nusra affiliate and the self-proclaimed “Islamic State” (ISIS). And while this was presented to the public as “accidental” – years before the war in Syria even erupted, there were already warning signs that the US planned to deliberately use extremists in a proxy war against both Syria and Iran. From 2011 onward, admissions throughout prominent Western newspapers like the New York Times and Washington Post would admit to US weapon deliveries to “moderate rebels” in Syria. Yet even as early as the first year of the conflict, Al Qaeda affiliate Al Nusra – a US State Department-designated foreign terrorist organization – would dominate the battlefield opposite Syrian forces. If the US and its allies were admittedly transferring hundreds of millions of dollars worth of weapons, equipment, and other support to “moderate rebels,” who was funding and arming Al Nusra even more, enabling them to displace Western-backed militants from the Syrian battlefield? The Western media had proposed several unconvincing excuses including claims that large numbers of defectors to Al Qaeda and its affiliates brought with them their Western-provided arms and equipment. The obvious answer – however – is that just as Seymour Hersh warned in 2007 – the US and its allies from the very beginning armed and backed Al Qaeda, intentionally created its ISIS offshoot, and used both in a deadly proxy war they had hoped would quickly conclude before the public realized what had happened. It had worked in Libya in 2011, and the quick overthrow of the Syrian government was likewise anticipated. When the war dragged on and the nature of Washington’s “moderate rebels” was revealed, implausible excuses as to how Al Qaeda and ISIS became so well armed and funded began appearing across the Western media. As the alternative media now attempts to shed light on the ongoing US proxy war in Yemen, a similar attempt to explain how Al Qaeda has once again found itself flooded with US support is being mounted. Just as in Syria – the obvious explanation for Al Qaeda forces in Yemen turning up with US weapons is because the use of Al Qaeda and other extremists was always a part of the US-Saudi-Emarati strategy from the very beginning. CNN’s revelations were not the first. While the US pleads innocent and attempts to blame the arming of Al Qaeda in yet another of Washington’s proxy wars on “accidental” or “unauthorized” weapon transfers, it is clear that Al Qaeda has and still does serve as a vital auxiliary force the US uses both as a pretext to invade and occupy other nations – and when it cannot – to fight by proxy where US forces cannot go. The US – which claims its involvement in Syria, Iraq, and Yemen is predicated on containing Iran who the US accuses of jeopardizing global security and of sponsoring terrorism – has aligned itself with actual, verified state sponsors of terrorism – Saudi Arabia and the UAE – and is itself knowingly playing a role in the state sponsorship of terrorism including the arming of terrorist groups across the region. Iran and the militant groups it has backed – accused of being “terrorists” – are ironically the most effective forces fighting groups like Al Nusra and ISIS across the region – illustrating Washington and its allies of being guilty in reality of what it has accused Syria, Russia, and Iran of in fiction.